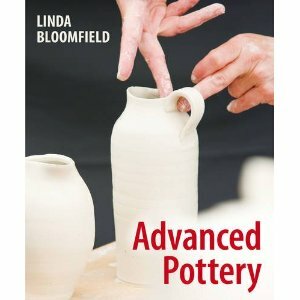 My friend Linda Bloomfield who pots down in London had just published her first book. It’s a cracker. If you get the chance to have a look you really should. It’s available on line here. I may be a wee bit biased as it has some of my images in there, and a couple of Christine Smith’s and many many of Mr Fitch’s pictures. I haven’t taken any photos of the book, I meant to but I’ve left it back down at work at the moment where it has gotten it’s first clay covered finger prints on it. It covers a huge array of topics and themes and the illustrations are many and interesting and informative and well chosen. I haven’t yet read it cover to cover, sorry Linda but no doubt in time it will turn into one of those well thumbed and grubby books that live in my workshop and get searched through whilst I’m in the midst of trying to do something and needing a bit of a hint or a tip. Well done Linda, it’s fab, I look forward to the next! This entry was posted in book, Linda Bloomfield. Bookmark the permalink.